Please come and join us and make some Easter crafts, including ceramic plates, egg cups, Easter nests, wooden bird feeders and much more. There will also be an Easter bonnet parade (prizes for the winning bonnets), face painting and the all important egg hunt! All siblings are very welcome to come and join in the fun, with a toddler play area, bacon rolls and hot cross buns, there’s guaranteed fun for all ages. 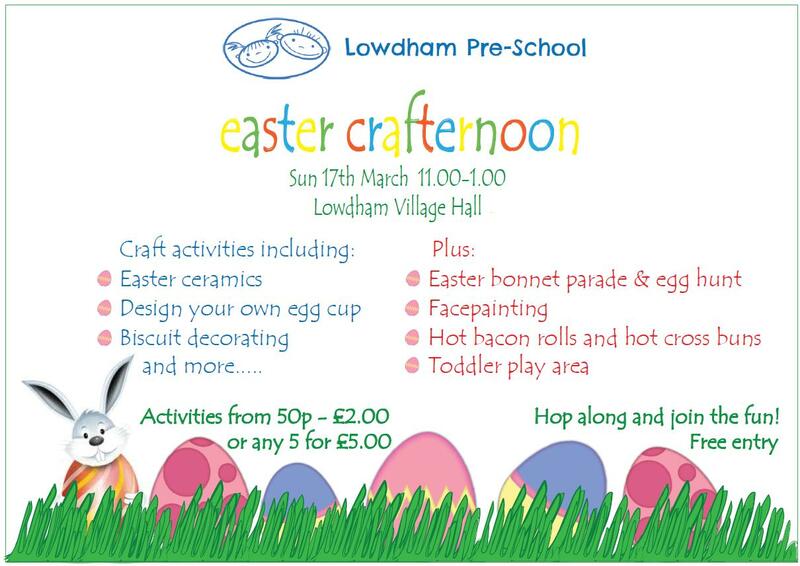 Entry is free and craft activities range from 50p to £2.00 or 5 for £5.